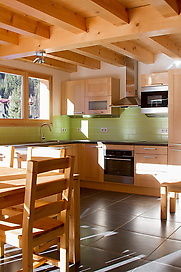 An almost brand new chalet situated right at the foot of the Grands Montets cable car in Argentiere, Chamonix. 120m2 spread over 3 floors. 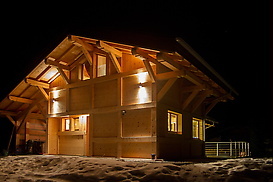 The chalet can accommodate 7 people. The first floor offers an open living area with equipped kitchen, corner sofa with widescreen television opening out onto a large, sunny terrace. Wifi throughout and a pellet-burning stove in the living room. There is space for 1 car in the adjacent garage. The second floor offers two bedrooms. A double en-suite bedroom with dressing area. The bathroom comprises of a bath, wash basin and toilet. In addition a single bedroom. 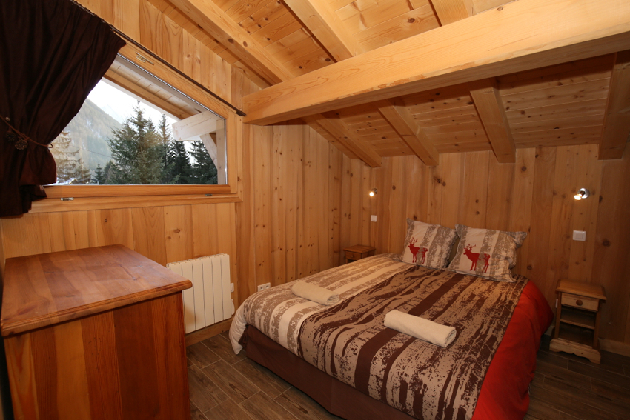 The level below the ground floor, open on the south side with two french windows, comprises of two double bedrooms with en-suite bathroom for each bedroom. 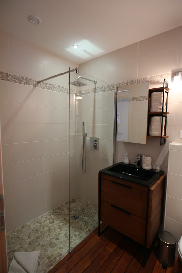 Both bathrooms are in the form of a wet room with a walk in shower, basin and toilet. There is also a large ski room and a seperate laundry room with washing machine and dryer. 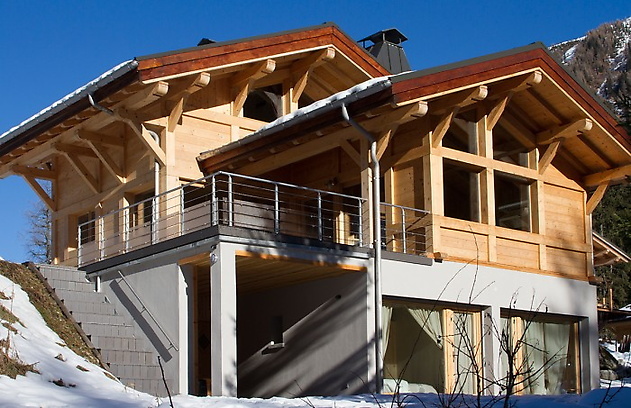 One of the very few ski-in-ski-out properties in Chamonix, at the very bottom of the lift of one of the highest ski domains in France. 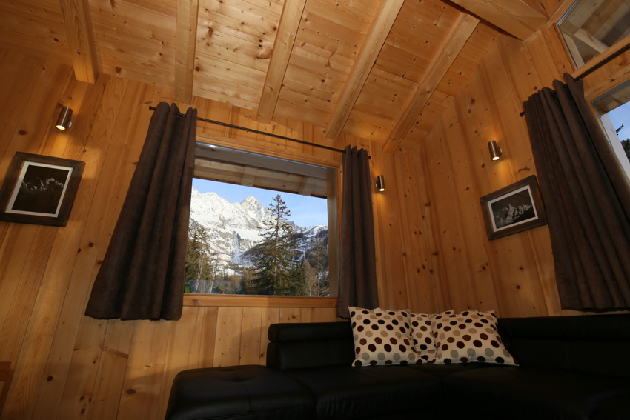 Views on Mont Blanc, direct acces to cross-country skiing trails, ski schools and a kiddy club. 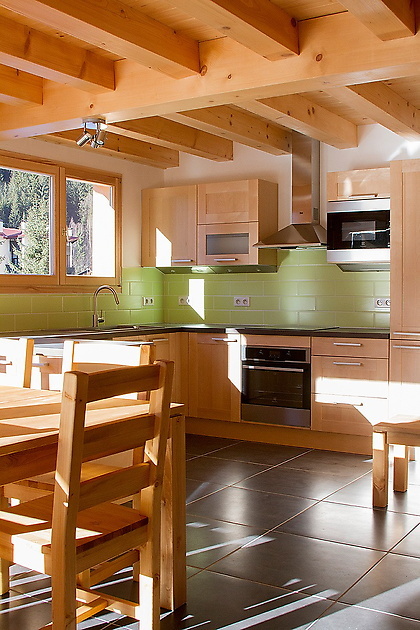 A 1-minute walk to the lifts, a 5-minute walk into Argentiere, alive with restaurants, bars, ski rental, sports shops, a pharmacy, supermarket, newsagents and several bakeries. Bus service every 10 minutes to Chamonix, 8km distance, in season. This is a private property for guests' use only. Meeting and greeting for key hand-over. Cleaning and laundry services available. Brand new chalet next door to the highest ski domain in the Alpes, five minute's walk to a village providing everything a skier could desire. Free public buses and trains up and down the Chamonix valley. Beautifully constructed luxury ski chalet ski in and out right by the Argentiere cable car with lovely views.